The Opponent, Polo/Lauren Company, L.P., filed an opposition in the Intellectual Property Office of Singapore against the trade mark application made by United States Polo Association in Class 09 on 17 October 2012 for a “double-polo-playing-horsemen-device” with the text “USPA” (“the Application Mark”), by relying inter alia on Section 7(6) [application made in bad faith] and Section 8(2)(b) [similarity to an earlier registered trade mark that is to be registered for goods and services identical with or similar to those for which the earlier trade mark is protected and there exists a likelihood of confusion] of the Singapore Trade Marks Act (“STMA”). The Opponent relied on their prior rights of a “single-polo-playing-horseman-device” mark which was registered in Class 09 on 14 May 1996. The Opponent claimed that the Applicant’s application was made in bad faith as it was in breach of a Settlement Agreement (“SA”) that was reached between parties in 2003 from their litigation in the United States. According to the Opponent, the SA regulates the Applicant’s use of their various trademarks, including the Application Mark, which confined the use to goods in Class 14 (watches only), Class 18, Class 25 and Class 28 only. The Applicant objected to the Opponent’s interpretation of the terms and conditions in the SA. The Applicant submitted that the SA does not govern the registration and use (by the Applicant) of the Applicant’s trade marks in relation to goods which fall within the ambit of Class 09. Nevertheless the SA was not produced by both parties in evidence due to reasons of confidentiality. An allegation of bad faith under Section 7(6) of the STMA is deemed as a serious claim which must be clearly proved and this is rarely possible by inference alone. Although there is no absolute prohibition on drawing inferences, the IP Adjudicator warned against making findings of bad faith based on inferences alone. Reference was made to the case of Festina Lotus SA v Romanson Co Ltd  4 SLR 552 where Tay Yong Kwang J said “…the courts can infer instances of bad faith and decide according to the justice of individual cases. Naturally, the court should also be cautious in not over-extending this concept lest it becomes a weapon of terror against competitors of trade mark proprietors”. Since the Opponent’s entire case of bad faith was based on inferences, the IP Adjudicator found that the Opponent did not met the high burden of proof involved for such allegations. The ground of opposition under Section 7(6) of the STMA therefore failed. Likewise, under Section 8(2)(b) of the STMA, the Opponent had to prove step-by-step that the competing marks are similar, the goods are identical or similar and because of the foregoing, there is a likelihood of confusion on the part of the public. All three of these elements must be satisfied in order to succeed under this particular Section. In the case of Staywell Hospitality Group Pty Ltd v Starwood Hotels & Resorts Worldwide, Inc.  1 SLR 911, the Appellate court had reaffirmed the step-by-step approach in dealing with Section 8(2)(b). The Opponent argued that the “double-polo-playing-horsemen-device” is the dominant component in the Applicant’s mark and the mark is visually similar to the Opponent’s mark when compared under the doctrine of imperfect recollection. The Applicant counter argued that the text “USPA” is the dominant component in the Applicant’s mark and is visually dissimilar when compared to the Opponent’s “single-polo-playing-horseman-device” mark. The IP Adjudicator found the competing marks to be visually similar only in an extremely low degree. Reference was made to the Court of Appeal case of Hai Tong Co (Pte) Ltd v Ventree Singapore Pte Ltd  2 SLR 941 where the Court made the ruling that the textual component of a composite mark or sign could (but will not necessarily or always) be the dominant component of the mark or sign. The size of the text “USPA” and its position within the composite mark made it such that it was not subordinate to the device. The parties did not contest that there was no aural similarity between the marks. The marks were found to be conceptually identical in that both marks conveyed the idea of the game of polo and that there is identity between the goods. 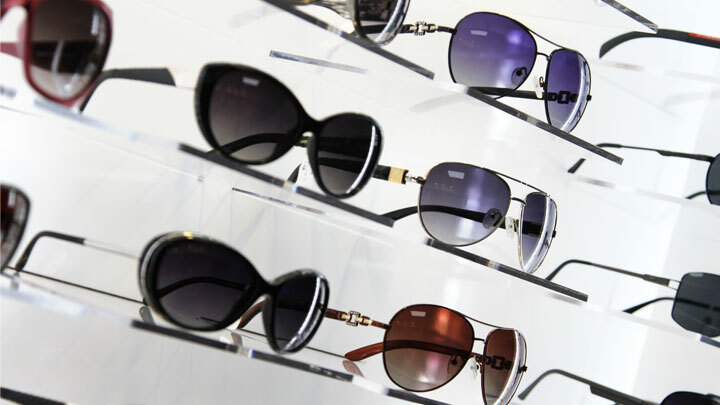 However, the ground of opposition under Section 8(2)(b) of the STMA failed as the IP Adjudicator found that there was no reasonable likelihood of confusion that goods bearing the Applicant’s Mark and the Opponent’s mark emanate from the same undertaking or from economically linked undertakings as consumers would pay fairly high degree of care and attention when purchasing eyewear regardless of their price range, in addition to the very low degree of similarity between the marks. An appeal from this decision has been filed at the Singapore High Court and the outcome will be reported in a future publication.